Order in the next 10 hours 54 minutes and your package will ship on Friday, April 19. Color outside the lines with these opal stud earrings. 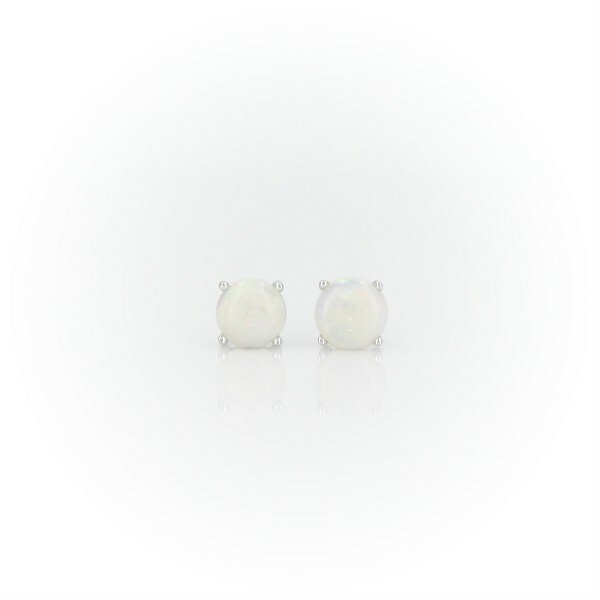 A pair of perfectly matched round white opals with a rainbow of sparkle are set in classic 18k white gold four-prong settings perfect for adding personality to your everyday attire.